Croatia has over thousand islands and there are only a few where cars are not welcome. Those islands are ideal for sightseeing and enjoying the aromas of pine trees and salty air. I wonder what is like to live on the island with no cars? How does that kind of peace and quiet sound like? Sounds like a true vacation, right? One of the islands where you can’t arrive with a car is the island of Susak. Although it’s a sandy island, the south coast is rocky and unreachable. Island roads are very narrow and gravel, not built for cars. However, people drive small tractors, bikes and bicycles. Island can be reached by boat from Mali Lošinj or catamaran from Rijeka. Today there are around 200 people living on the island. They speak Croatian but Croats can’t understand them. Their language is specific and so different that even people from nearby islands can’t understand them. It is a mixture of old Croatian, English, Italian and French. Another special thing about Susak is their folk costume. It is made of extremely bright colours. It consists of above knee long skirt and is considered one of the first mini skirts in the world. Peace and quiet on the island is also thanks to the fact that there are no hotels and noisy night clubs. There are only private apartments on Susak. You can breathe in the fresh air and enjoy the view by walking through the island. There is a 12 km long path around the island so prepare for 3-4 hours of active walk. You can also visit the lighthouse from 1885. which has an amazing panoramic view of the entire island. The lighthouse on peak Garba is by its light range one of the three lighthouses on the Adriatic. Island Unije is west from Lošinj. It got a name from greek word heneios, which means field. North and east coast is rocky, but south and west coast are flatter. Only one small town is situated in a bay on the southwest side of the island. Island has rich vegetation with aromatic and medicinal herbs like fennel, sage, myrtle, link etc. If you take a walk through the island you will see beautiful coves with rich vegetation and also different animals walking freely. Unije was inhabited in prehistoric times and remains of the Illyrian fort can be found on the island. There are no hotels on the island. Camping is forbidden. However, you can spend your vacation in one of the private accommodations. Island Unije is well connected with nearby islands. 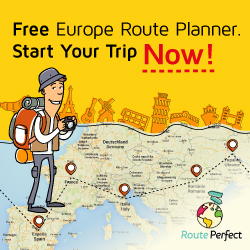 It can be reached from Mali Lošinj or Rijeka. There is a grocery store, post office, konobas (traditional restaurants) and cake shop on the island. The only grocery store on the island has a solid offer on groceries and accepts only cash. When buying the bread you have to sign in one day earlier which is quite reasonable because groceries are delivered on the island. Experienced divers will be interested in cargo steamship wreck Tihany. It sank in 1917. during the storm on the western side of the island. Today it is resting at a depth of 35m. We are still in northern islands, arriving to small island Silba. Here, you can enjoy pebble and sandy coves with beautiful beaches. Beach Šotorišće is most famous one and many say that beach Premastica is the most beautiful one. Silba is an island of pedestrians, you won’t see any cars, or motorcycles. Bicycles are rare to see. There are no hotels on the island Silba, only private accommodations. In restaurants and konobas you can taste Dalmatian specialties made of fish, shells, crabs, calamari or different meat dishes. Island is reachable by ferry from Zadar or nearby islands. Symbol of island Silba is Toreta tower with spiral staircase. It is beautiful lookout with a panoramic view of Silba and nearby islands. The tower is also called “tower of love” because the legend says that it was built by a captain in memory of his unforgotten love. Zlarin is often mentioned as the island of corals because the tradition of coral diving and processing is here since the 15th century. There is a legend about coral origins and it dates back in ancient times. According to legend, the red coral was created when Perseus cut off Medusa’s head and threw it into the sea. Her blood coloured seaweed and made it into corals. While visiting the island make sure you buy a souvenir with Zlarin’s red corals on a stone which was proclaimed the best souvenir 2010. by Croatian tourist board. The 19th century was a century with a lot of significant events for Zlarin. It got the first telegraphs, elementary school was established, a public street light system installed and clock tower Leroj. In the 20th century, the new seaside promenade was built as well as the first public beach. Today Riva (promenade) is the longest promenade among Croatian islands. It is almost 130m long. Zlarin is also famous for its beautiful beaches. Most beaches are pebbly, but entering the sea you can feel the sand too. Cars are forbidden on Zlarin, but there are roads which are great for bike lovers. You can also enjoy long walks. The island Zlarin is reachable only by boat from Šibenik or Vodice. This island in Šibenik archipelago was named Prvić because it is the one closest to the land. (Croatian “prvi” means “the first”) Some say that it got a name by pagan Croat god Prvic or Prvin. Small island towns Prvić Luka and Prvić Šepurine are typical Dalmatian towns with narrow stone streets and stone houses. Prvić is first mentioned in the 11th century when the island was inhabited by people from Srima and Vodice while running from Turks. In the 16th century, it becomes vacation place for nobles from Šibenik. Faust Vrančić spent his childhood on this island. He is born in Šibenik, but his wish was to be buried on the island Prvić. Memorial centre Faust Vrančić was founded here in his honour. You can see amphitheatre, hall, souvenir shop and his inventions in real size. Besides from being parachute inventor, he also wrote one of the first multilingual dictionary in the world. The cove on Prvić is safe and protected from winds. It is filled with anchored boats during summer months. If you come on the island in August make sure you visit one of folk festivals. Gospe od Anđela (Lady of Angels) is celebrated on 2nd of August in Prvić Luka, and on 16th of August St. Roko is celebrated in Prvić Šepurine. There is one more folk festival on Prvić island. It is actually regatta organised at the end of August. It is called “Burtiž – Latinsko idro” in Prvić Šepurine which means sailing with ships with a lateen sail. You can arrive on the island of Prvić by boat from Vodice or Šibenik. On the opposite side from Brodarica in Šibenik archipelago is a small island Krapanj. It is situated only 400m from the mainland. Streets on the island are narrow and made of stone. On Kapanj you can enjoy the peace and quiet because there are no cars here. During the main big folk festival, on 2nd of August is Gospe od Anđela (Lady of Angels), the island is visited by visitors from Brodarica and nearby islands. The only public beach is pebble beach in front of hotel Spongiola. Other beaches are wilder and next to seaside promenade. The island is well known by sponge industry which dates back to 3rd century. Legend says that at the beginning of 18th century there was fra Antun from Crete who taught people from Krapanj how to recognise, hunt and process sponges. Sponge industry had it’s peak in 1910. when up to 400.000 pieces were sold to Italy, Germany and France. In the centre of Krapanj there is “Gallery of sponges” where you can look and buy different souvenirs made of sponges. You can arrive on Krapanj every day by boat from Brodarica. Kaprije is one more island in Šibenik archipelago. It is situated between island Kakan and Zmajan. It got a name by caper, Mediterranean herb plant. On the island, there is only one small fishing village named also Kaprije. The island is small paradise without roads and cars. You can enjoy the sound of waves and crickets, smell of the salty sea and pine trees while laying on the beach. Once Kaprije belonged to noble families of Šibenik. Today island has around 100 inhabitants. It has a post office, grocery store, few bars and restaurants. Yachtsmen love to visit island bays because of safe shelter but also to eat delicious food. If you want to visit the island Kaprije, you can take a ferry from Šibenik. We are moving to south Dalmatia to visit Elaphiti archipelago. One of the islands in Elaphiti archipelago is Lopud where there are no cars. It is an island with beautiful untouched nature and sandy beaches. This can be your ideal place for relaxation and rest away from the stress of city life. Take a walk on a seaside and sit on a bench in one of the parks. Island Lopud was an island of sea captains who served in Dubrovnik republic nearby. The 15th century was the time when Lopud had even thousand inhabitants who owned ships and shipyards. Today there are around two hundred inhabitants on the island. The only settlement was Lopud on the western side of the island. On the southern side, in bay Šunj, there is a sandy beach, one of the most beautiful on the Adriatic. It is shallow beach ideal for playing picigin or any other water sport. Children will enjoy the beach because they can carelessly play in the sand. The beach is only 20 min walk from town Lopud. If you don’t feel like walking, there is one small sandy beach, in the centre of Lopud town. You can arrive on the island Lopud by ferry from Dubrovnik. The ride lasts about one hour. Island is also called Kalamota among the island’s inhabitants. It is the smallest island in Elaphiti archipelago. Koločep had it’s golden age in the 15th century, as well as Lopud. Many summer houses and sacral object were built during that time. A lot of churches were built, but only few remained standing: St. Srđ, St. Nikola, St. Trojstvo (Trinity). The sea is crystal clear with rich sea life. There are two bays on the island; Sapluni and Porat with sandy and pebble beaches. You can walk through the sandy path between the two settlements Donje and Gornje Čelo. It is 3km long so you can spend 20min looking at olive trees and beautiful gardens. Don’t miss smelling various Mediterranean herbs and pine trees. Koločep has numerous hidden bays. The best was to explore is riding on a kayak. Divers will love to explore the sea life and visit the underwater cave. You can visit Koločep by taking a ferry from Dubrovnik. Did you ever experience that kind of silence, relaxation in the true meaning of the word? With no interruptions. 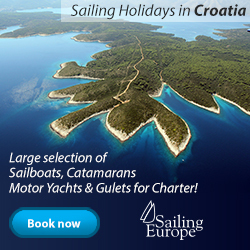 If you want to discover Croatian islands by boat, rent a charter boat. It’s the best way to explore on your own. Which is your favourite place to enjoy the quiet? Dragon's treasure is a place for you to discover interesting and hidden places in Croatia. You will find the location of Dragon's Eye, wonderful hidden spots of popular destinations, stories and legends about famous places, how to spend an active vacation and a lot more. Enter your e-mail address here and you'll get occasional news about Dragon's treasure blog. Looking for a view no money can buy? Start mountaineering.